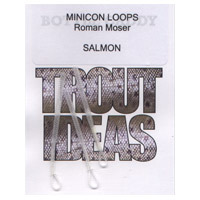 The prefect tube system for the modern style of salmon & seatrout flies. 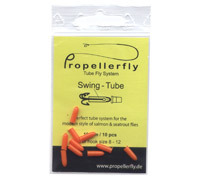 The Tubes are designed to fish your Tubefly with a free swinging hook. 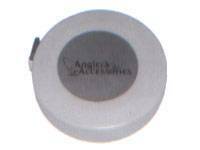 Your fly will run straight and tangle free, plays much better and you will loose less fish. 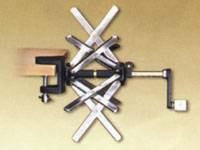 If you would like to fish with a smaller Swing-Tube you can cut the Swing-Tube. Please use only hooks which fit ideal into the Swing-Tube, if your hook (eye) is to big the Swing-Tube will break. 10mm Hook Size 8-12. 12mm Hook Size 4-6. 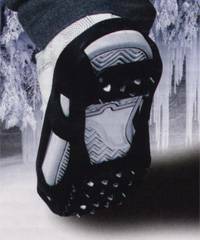 Specially designed for shoes, it helps you walk on ice, snow, sand and wet lands safely. - Easy to put on and take off. Fly reel with measuring tape inside.